In some of Europe’s wildest regions, we often find arrangements of land use and land ownership in the hands of private individuals or municipalities. Many of these arrangements and rights appeared decades or even over a century ago. The areas can have a great potential to become a Wilderness, following the European Wilderness Quality Standard. However, the land owners’ interest may not align to these principles. This situation can thus be a limiting factor to establish new certified Wilderness in Europe. Creating Wilderness on private, corporate or municipal land in Europe almost seems to be unrealistic in this moment. We are in contact with a several of areas with Wilderness Quality, owned by either individuals, a municipality or a group of owners. In the previous years they expressed interest to contribute to the European Wilderness Network. The first negotiations were promising, but after a while most commitments disappeared. Taking a decision to allocate pieces of land to a category of non-extractive use does not always seem to be in line with the owners’ mentality. Owners often requested for exceptions from the Europe Wilderness Quality Standard, mainly to continue hunting or removing dead wood. An entirely privately owned Wilderness would be very exceptional and unique, also on other continents where Wilderness has a long history. On the contrary, there are many examples how managements deal with ‘islands of exception’. 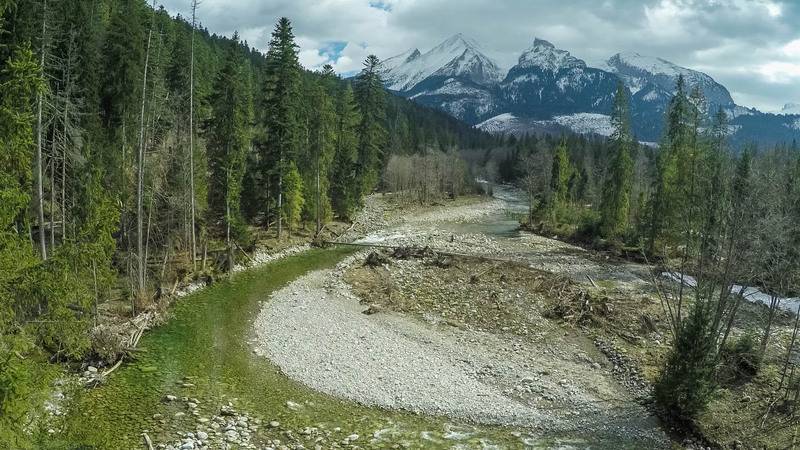 For example, in Triglav National Park, a compensation system is in place for private land owners. The islands of private land or rights of usage within an existing Wilderness often focus on land use for mining or grazing. These areas are usually named inholdings. But there are also positive developments, for example in the forest reserve Val Cama-Val Leggia in Switzerland. Here, land owners and forest authorities recently signed contracts to ensure the strict protection of the valley.